Born on this day were two people who were the closest of friends (and colleagues) to Judy, the amazing Roger Edens and Kay Thompson. 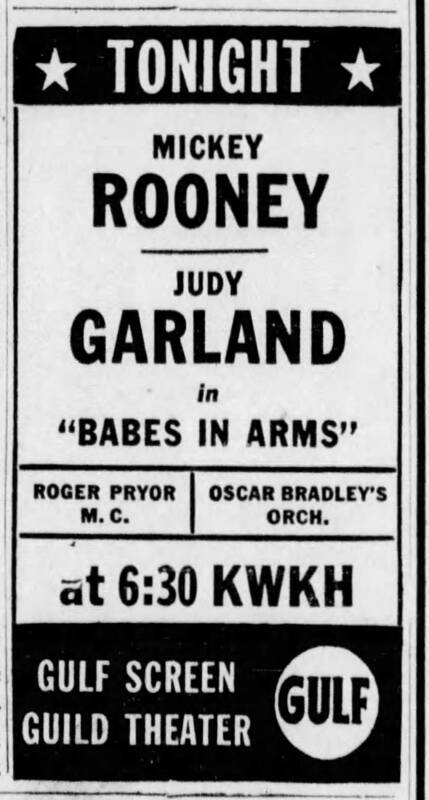 Roger Edens (November 9, 1905 – July 13, 1970), was one of the few people who were a part of Judy’s life for decades. He played piano for her audition with MGM in 1935 and went on to be her musical mentor throughout her MGM career and afterward. He was always there to help her out long after she had departed the studio. 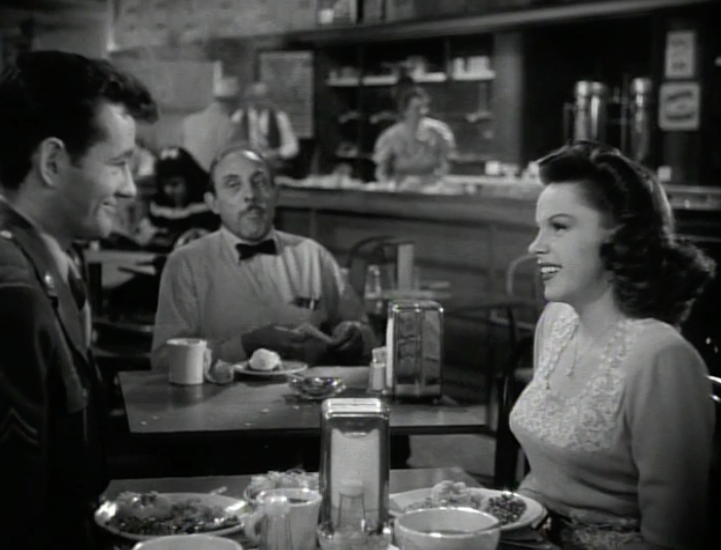 He devised the “Dear Mr. Gable” part for “You Made Me Love You” which was Judy’s first “identifier song” and helped catapult her to international fame. One can never underestimate his influence and taste. Judy brought the raw talent, he added some polish. Kay Thompson (November 9, 1909 – July 2, 1998). Kay was the closest female friend Judy ever had. 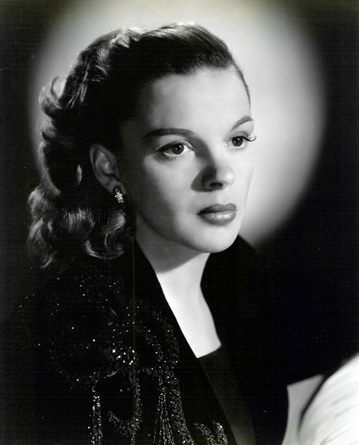 She was instrumental in helping shape Judy’s late 1940s voice and style, and later concert style. She’s responsible for some of the best MGM vocal arrangements in their mid-to-late 1940s musicals. She was brilliant! 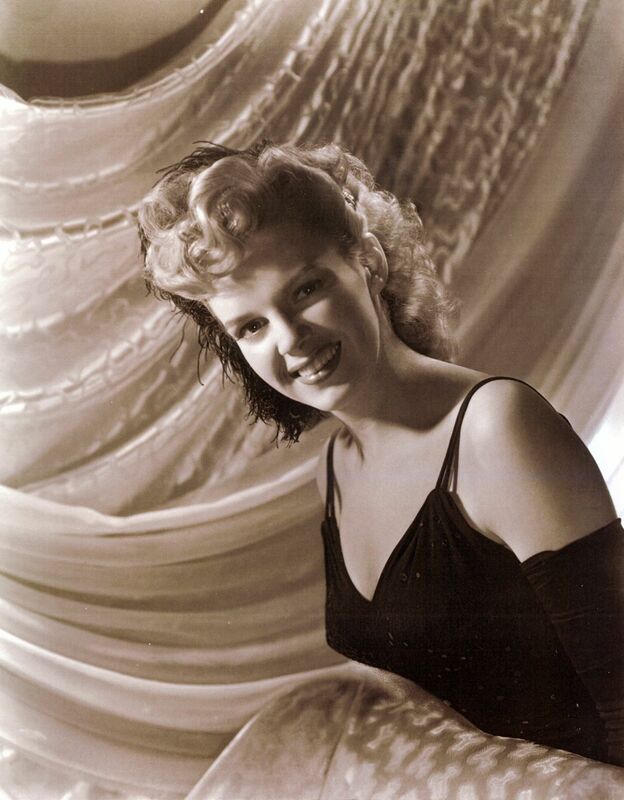 Kay was a great performer in her own right, most known for her nightclub act (introducing Andy Williams to the world); the 1957 film Funny Face; she was the author of the “Eloise” books. She was godmother to Judy’s daughter, Liza Minnelli, and mentor to her, too. Kay lived her last years with Liza. 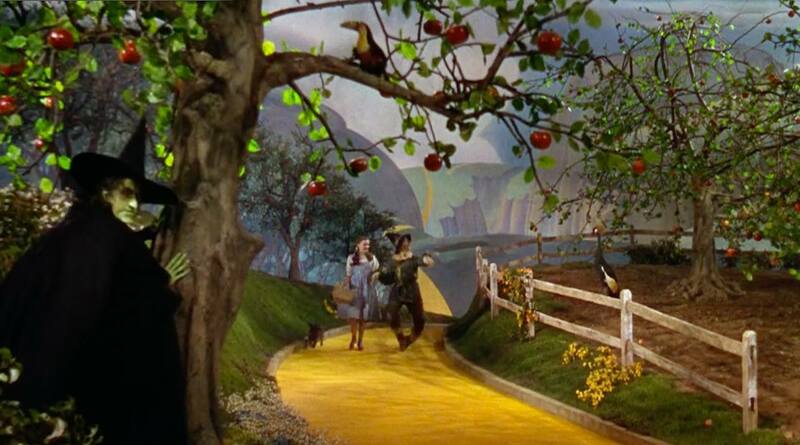 November 9, 1938: Judy, Ray Bolger, and Jack Haley continued filming the scenes for The Wizard of Oz on the “Apple Orchard” set. This set still was taken on this day. Set still provided by Kim Lundgreen. Thanks, Kim! 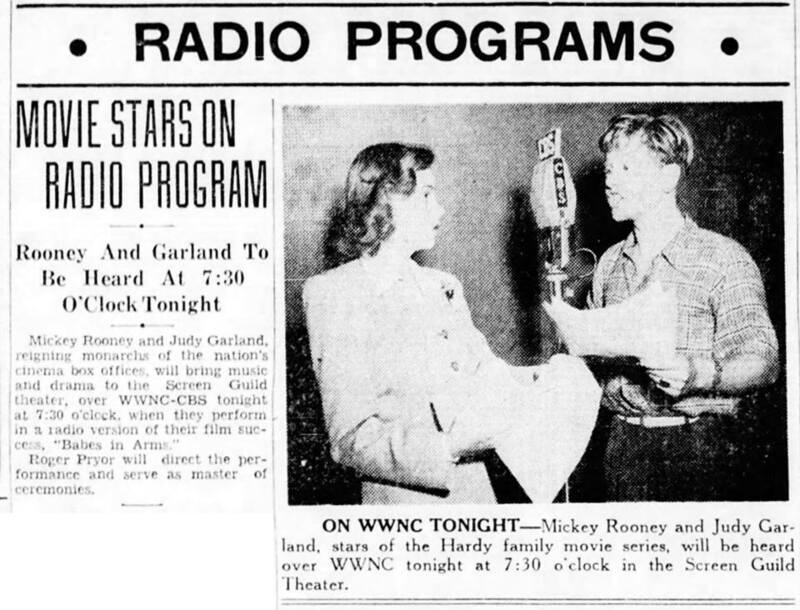 November 9, 1941: Judy and Mickey Rooney recreated their Babes In Arms roles for the CBS Radio “Screen Guild Theater” adaptation of the film. November 9, 1942: Judy posed for these gorgeous promotional photos, shot by MGM’s now legendary photographer Clarence Bull. 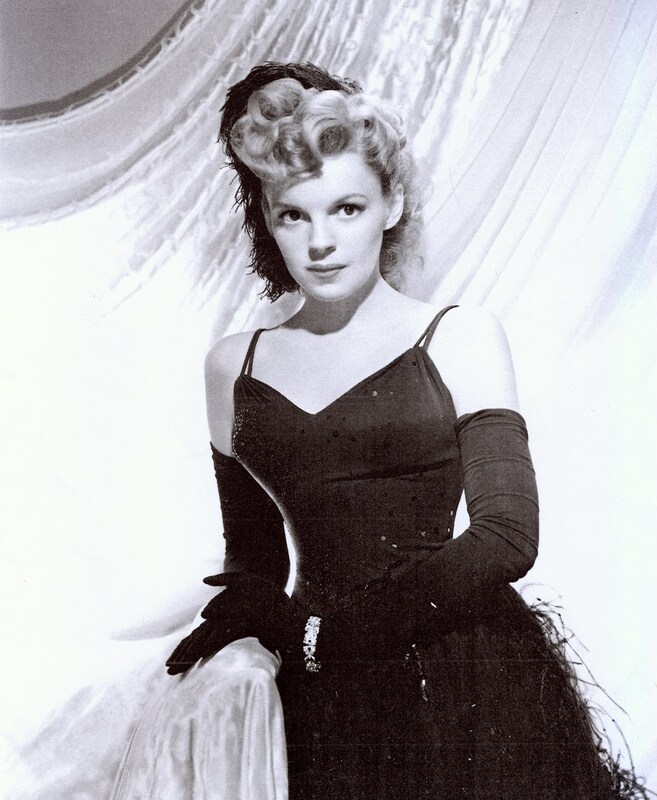 These and several other shots of Judy in this costume were used for promoting Presenting Lily Mars. 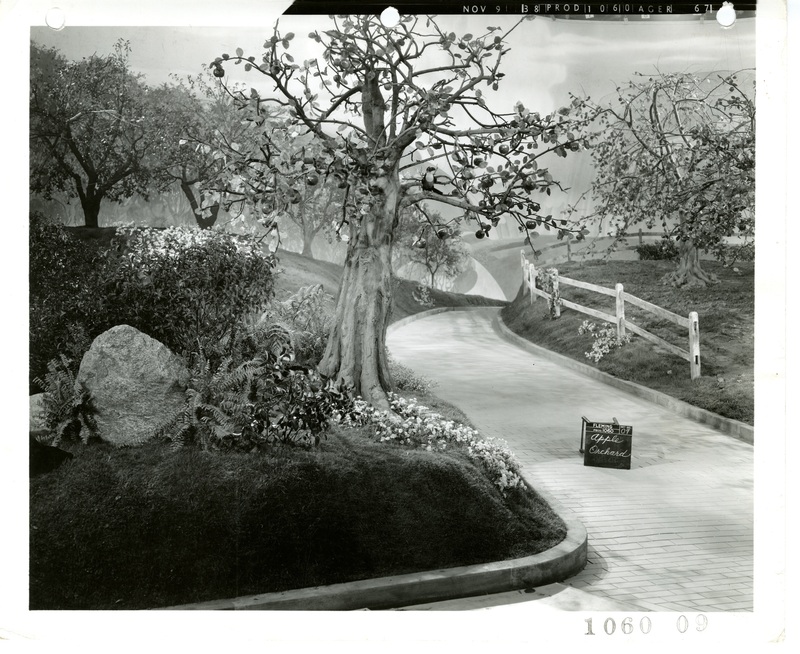 The photos spotlight Judy in what became the costume she wore in the revised finale for the Presenting Lily Mars., pre-recorded and shot that following March 1943. 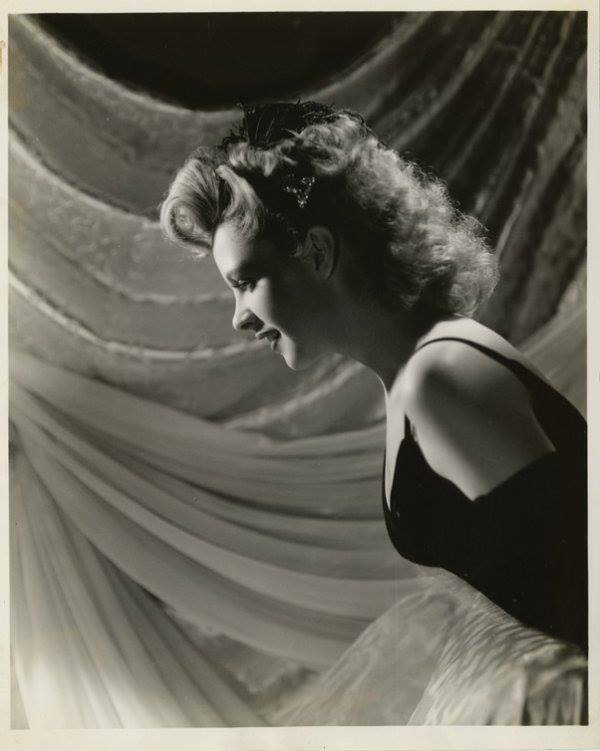 On March 9, 1943, more studio portraits were taken of Judy in this costume, with a different hairdo (mirroring her hair as featured in the new finale), and different backdrop. 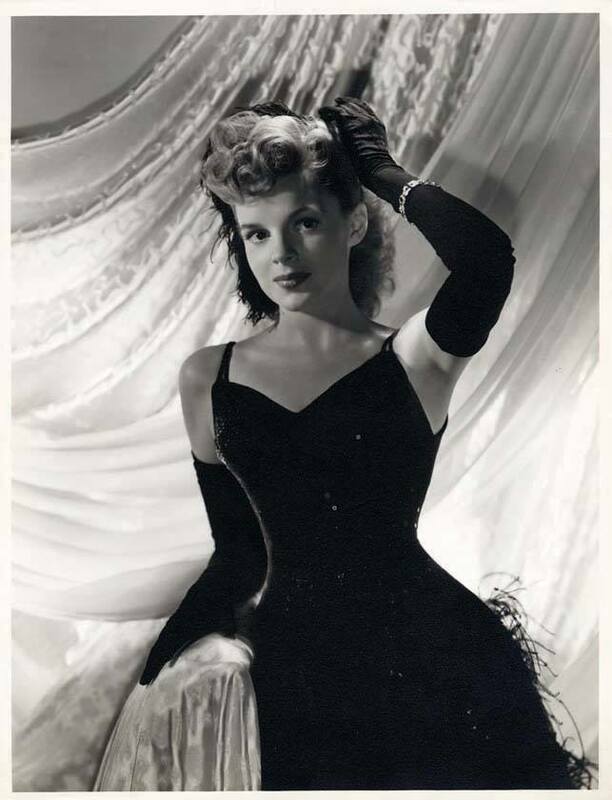 November 9, 1943: This photo was taken of Judy in costume for Meet Me In St. Louis, part of several days of costume tests. 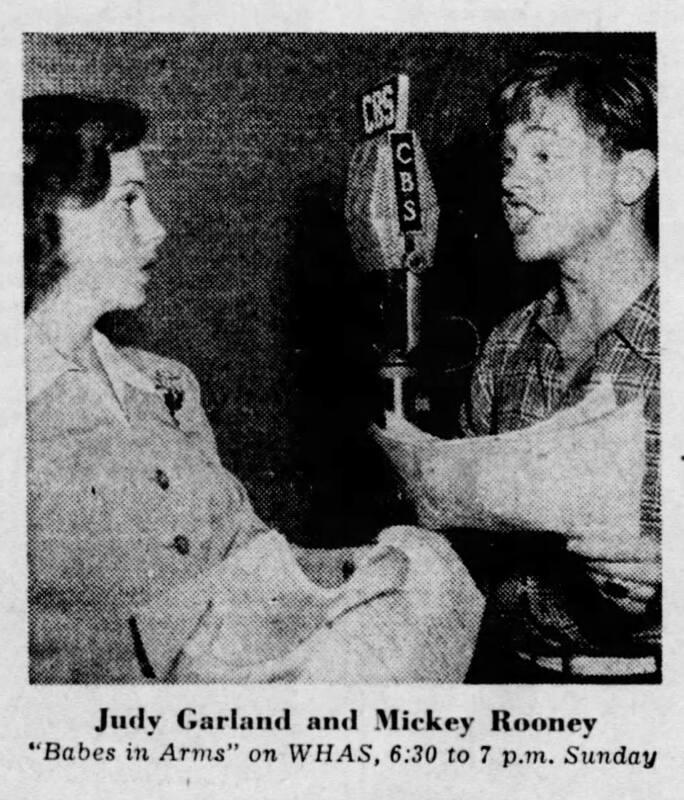 Judy had recently begun early work on the film, including prerecording “Boys And Girls Like You And Me” on November 3rd. November 9, 1944: Filming on The Clock continued with more scenes shot on the “Interior Lunch Room” and “Interior Milk Truck” sets. Judy arrived at 9 a.m and was on the set (from makeup) ready at 10:30 a.m., for a 10 a.m. call. 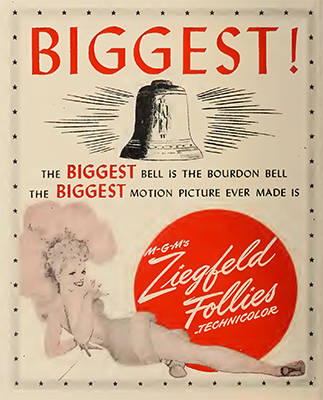 Dismissed: 5:50 p.m.
November 9, 1945: Two ads in the Film Daily trade magazine, one for The Harvey Girls and the other for Ziegfeld Follies. 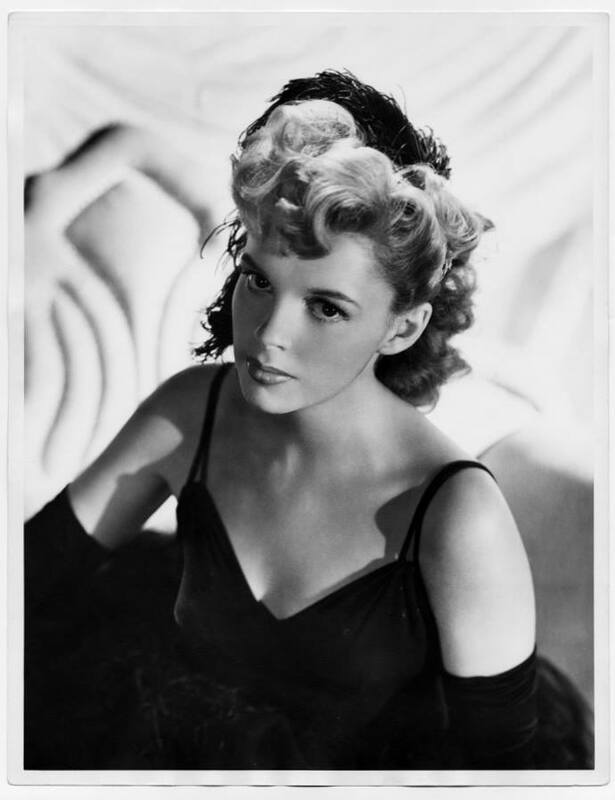 November 9, 1948: The second to two days Judy spent in the portrait gallery at MGM. 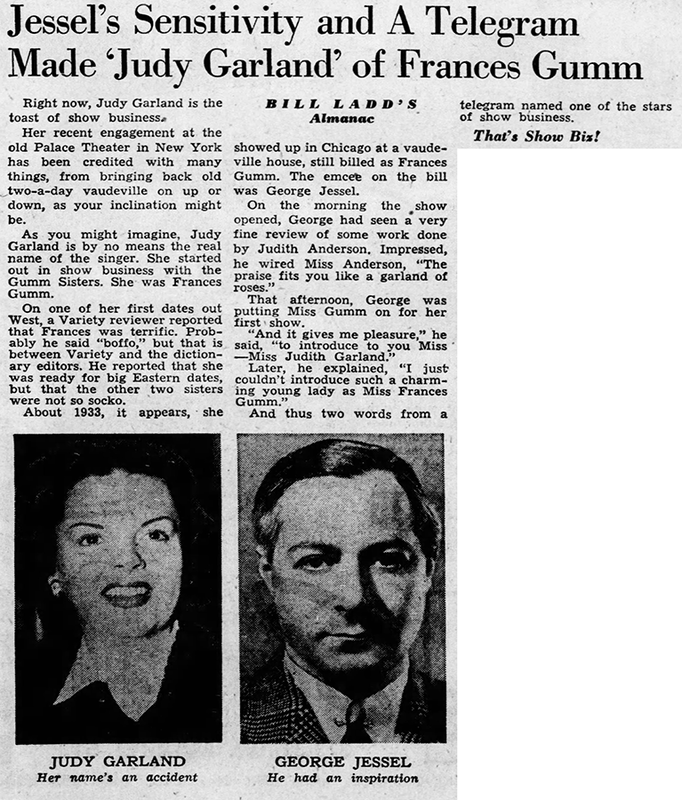 November 9, 1951: Here is another re-telling of the legend of how Judy got her stage name of “Garland” from George Jessel. November 9, 1952: A very pregnant Judy was photographed at a recent party/fundraiser given by Marion Davies. Judy gave birth to her second child, Lorna Luft, on November 21st. 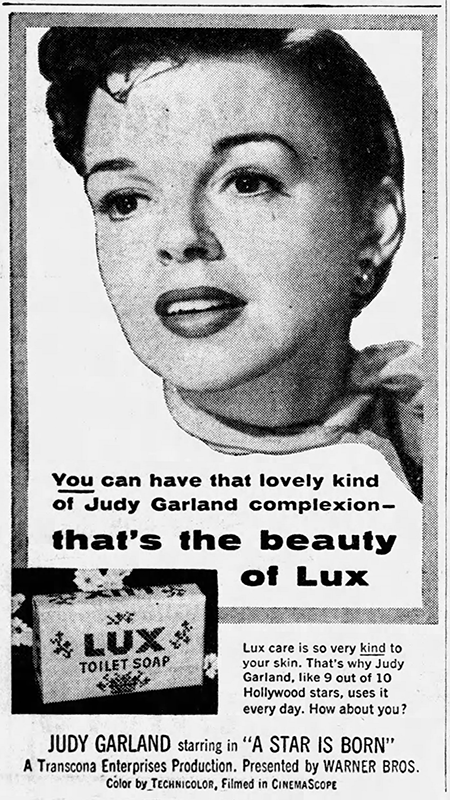 This day was also the first of four days that Judy was out sick from the production. 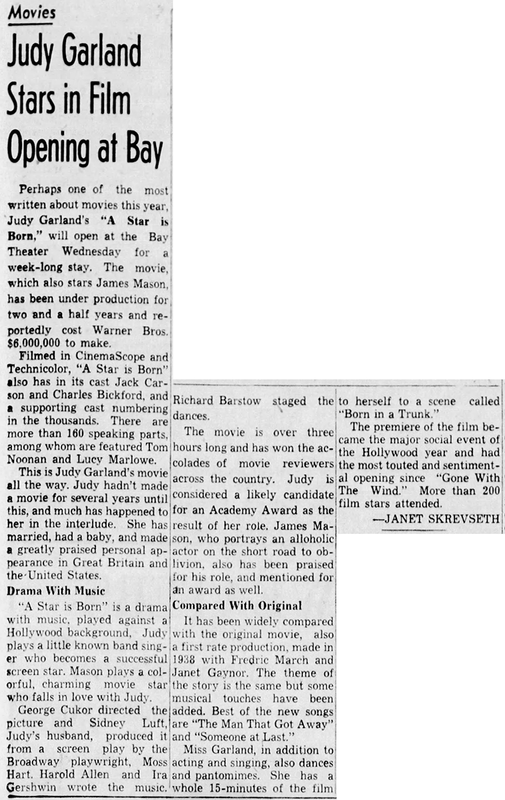 November 9, 1954: Here is another local review in which the critic mentions that A Star Is Born is over 3 hours in length. Apparently, the uncut version was shown more than previously thought before Warner Bros. replaced the prints with the shorter version. 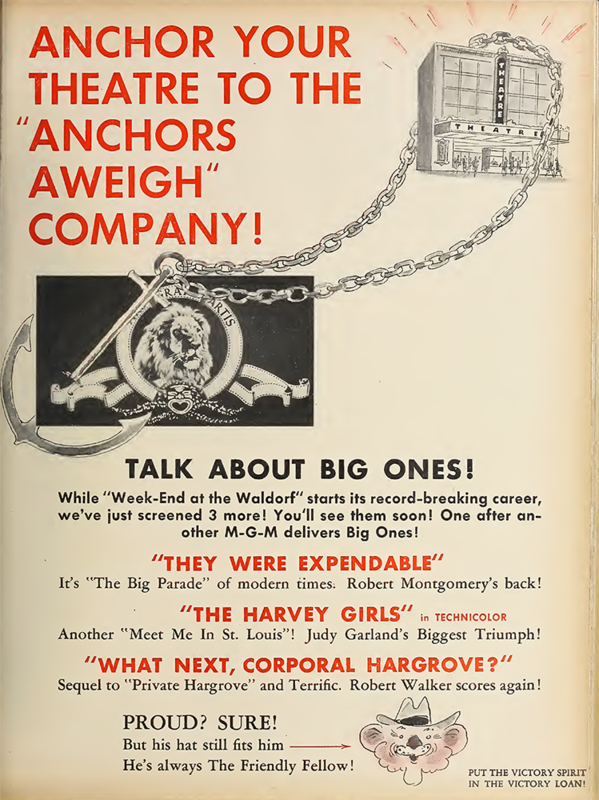 Included is an ad for Lux Soap which was a tie-in for the film. November 9, 1962: Judy attended the world premiere of her only animated voice-over role, the film Gay Purr-ee in Chicago. 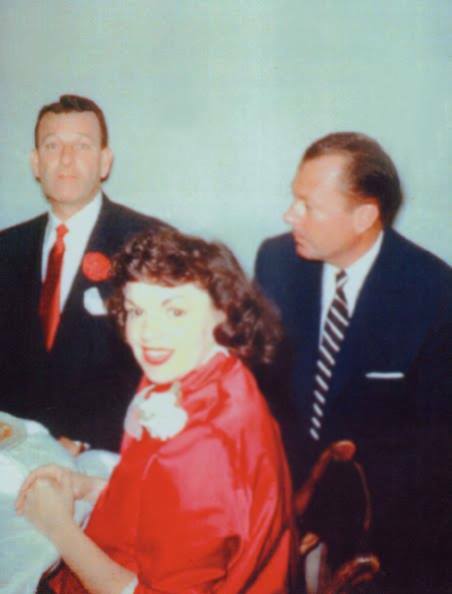 After the premiere, Judy had dinner at the Pump Room at the Ambassador East Hotel (I have always liked the fact that Judy would frequent the club that she sang about in the song “Chicago”), which is where she was staying. At 12:30 a.m., Judy left to attend Eddie Fisher’s opening at the Villa Venice in suburban North-Brook. 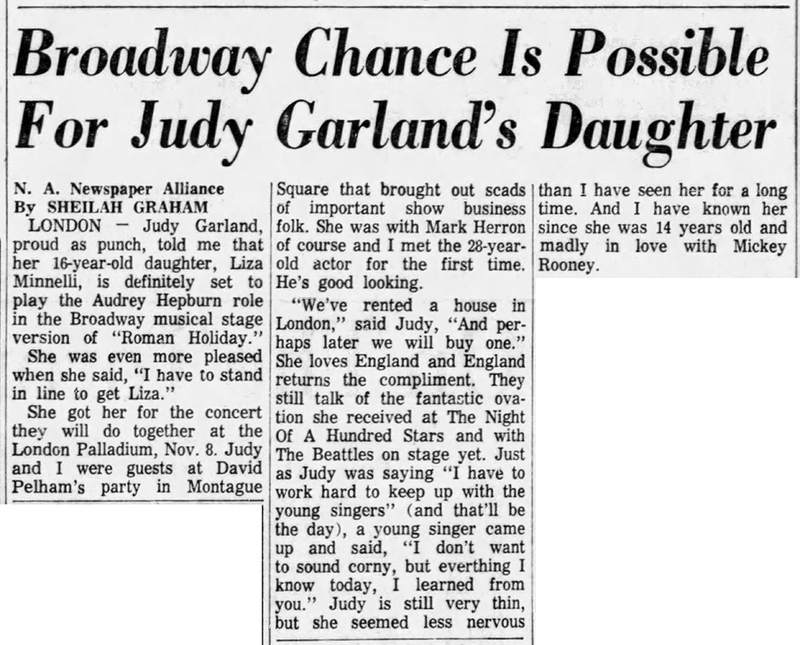 She sang with Fisher at a party after his show, then returned to her hotel, with Fisher, at 3:45 a.m.
November 9, 1963: “Judy at Carnegie Hall” and “Judy” were part of the Capitol Record Club. 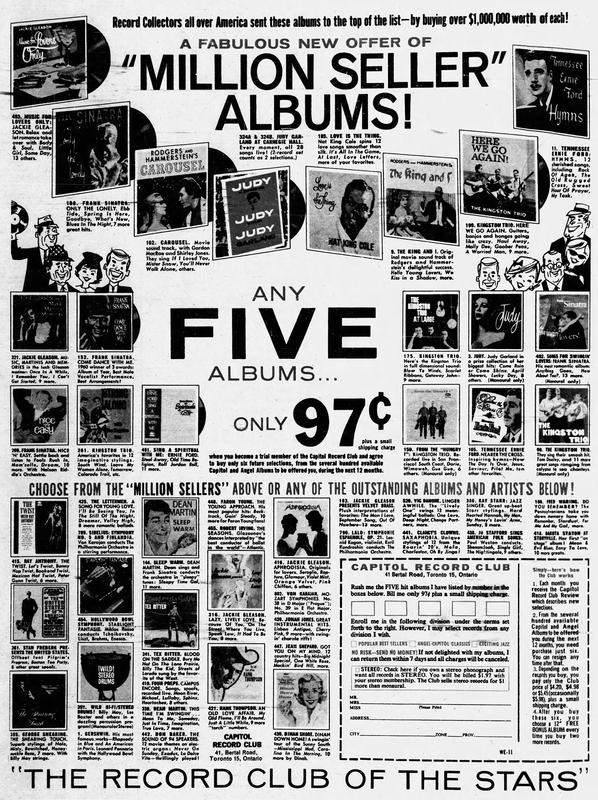 These subscription clubs were popular for decades and quite a few fans were able to get great deals on records. The most recent version is the Disney Movie Club which operates in the same way, although with DVDs and Blu-rays. 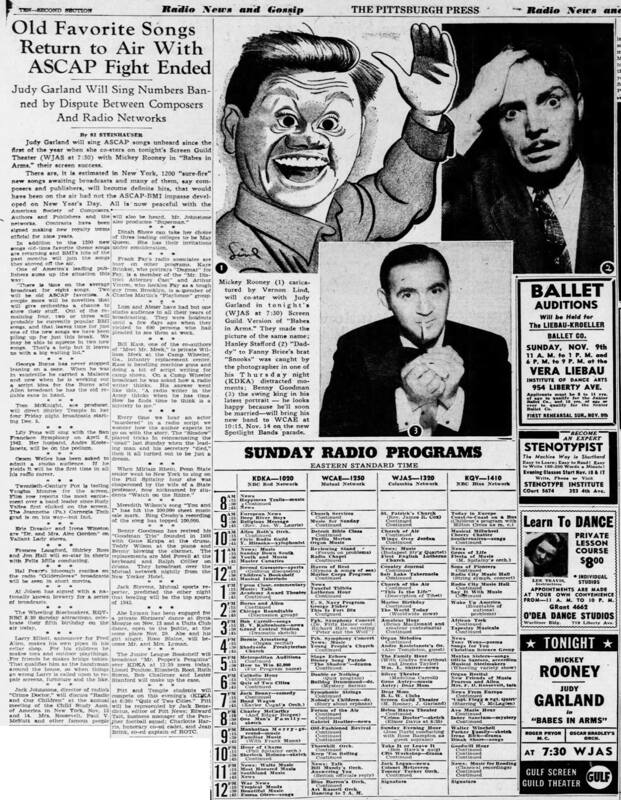 November 9, 1963: Two articles about Judy’s TV series. The first reported on Jerry Van Dyke’s recent departure from the show. 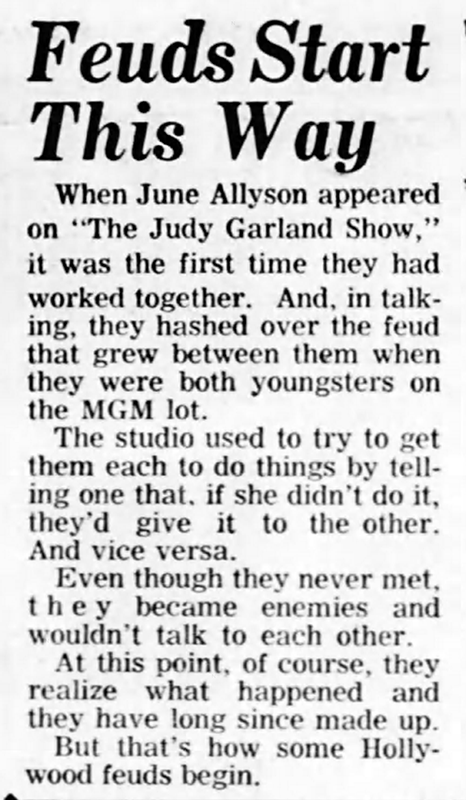 The second tells the untrue story of a “feud” between Judy and June Allyson. The story goes back to their MGM years when the studio allegedly would threaten each with the other if they didn’t perform. 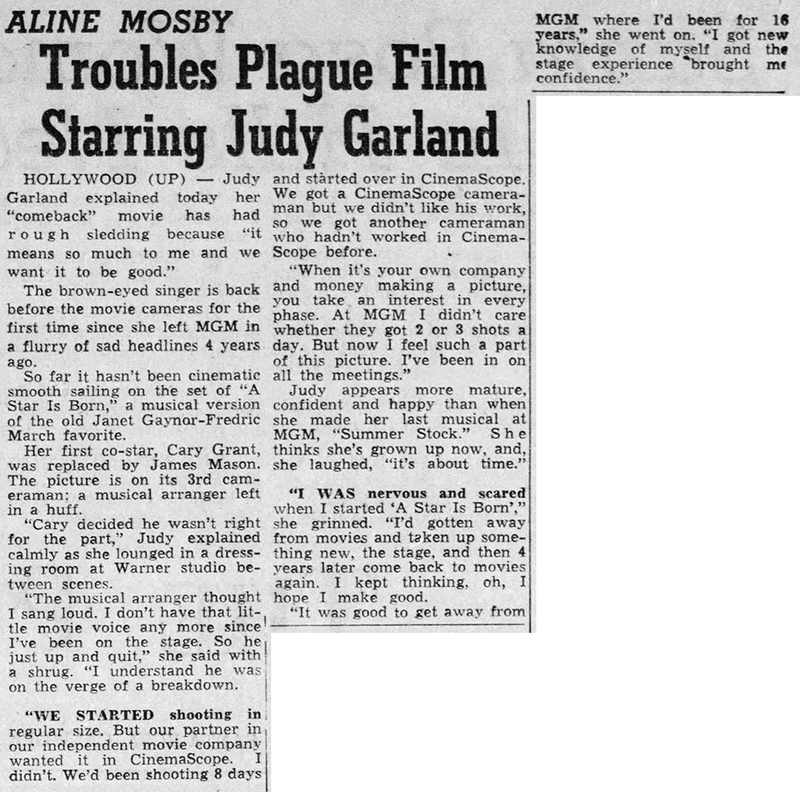 That most likely did happen since MGM wasn’t above such tactics, but Judy and June had been friends for years. There really was not “feud” between them. 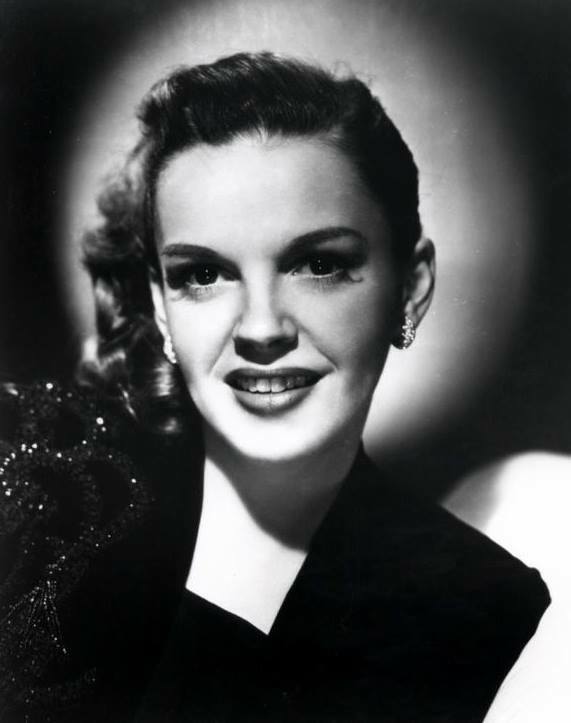 On this day, the production of “The Judy Garland Show” went on a one-week break so the new team could be assembled. The team began work on preproduction of the next episode on November 18th. 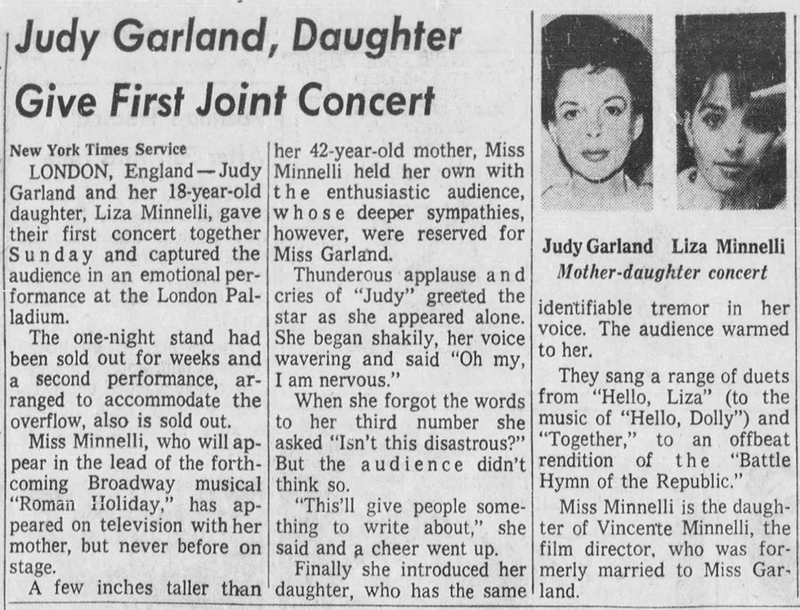 November 9, 1964: Judy and Liza at the London Palladium were a big hit! Also at this time, columnists reported that Liza was Broadway-bound in a musical version of the Audrey Hepburn film Roman Holiday. 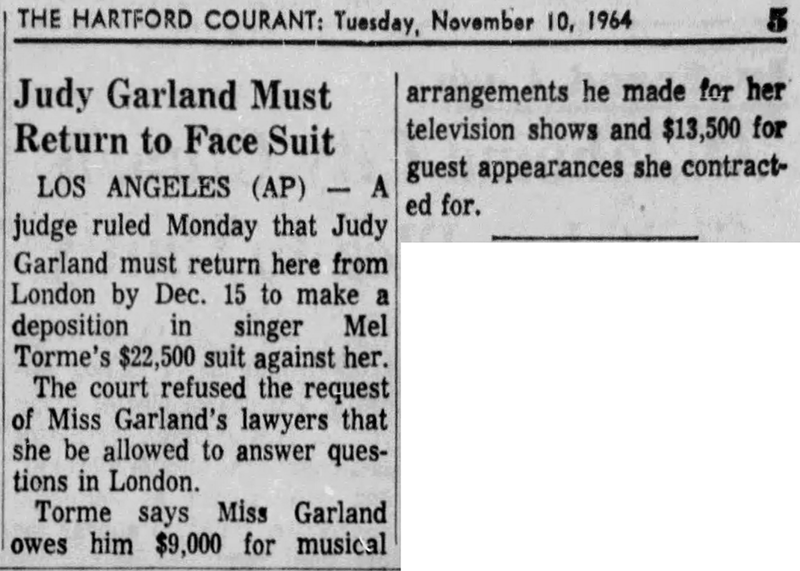 Also, as seen in the clippings above which hit the papers on November 10th, on this day (November 9th), a California judge ruled that Judy must return to the U.S. to make a deposition in Mel Torme’s $22,500 suit against her. Judy’s lawyers requested that she be allowed to answer questions in London but that was denied. 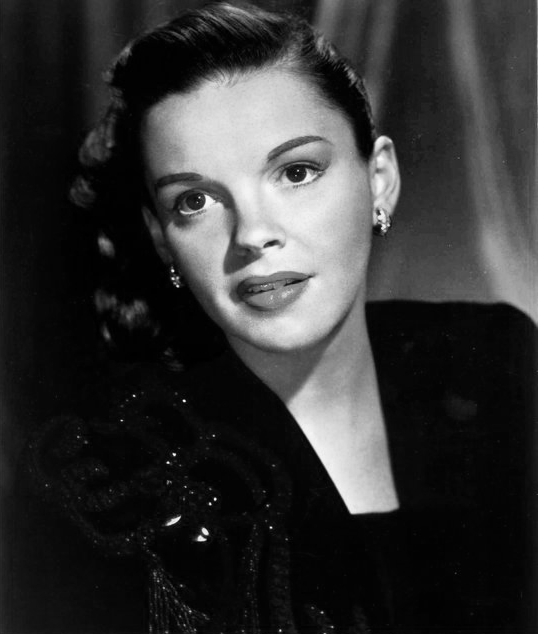 Torme claimed that Judy owed him $9,000 for arrangements he made for her TV series and $13,500 for guest appearances. I got up early, and thought, ‘where’s today’s edition?’ Well, this one was crammed full of fun, and so worth waiting for. Loved those pics of Judy and Roger Edens/Kay Thompson, many of which, I’d never seen before. 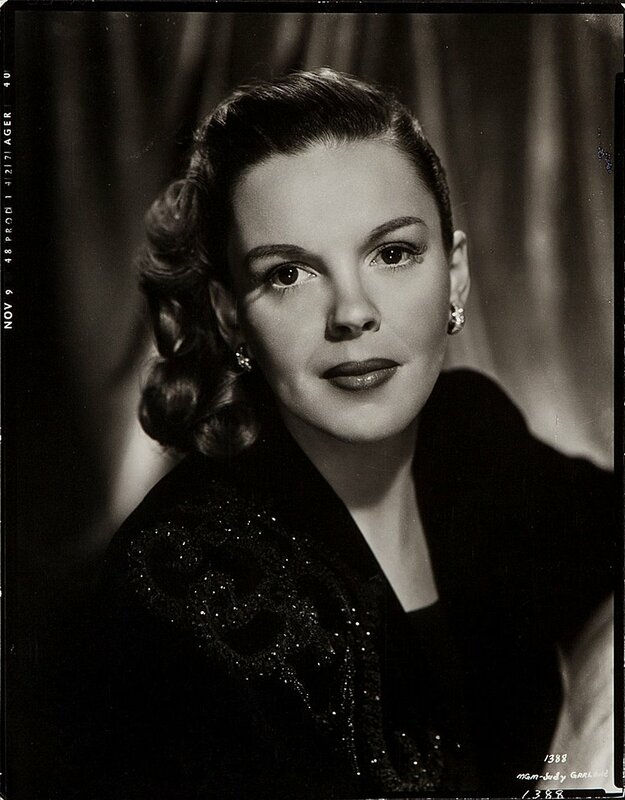 1942 photo shoot: How odd that Judy would be photographed in a dress she had no idea she’d wear in the new “Lily Mars” finale. She must’ve liked it! “Gay Puree” is the only Garland picture I’ve never seen all the way through. I just don’t have an interest in feature-length animated films. Judy looks so lovely in those pics of her at the Chicago premiere. Yesterday’s comment on “Clouds:” Yes, I was referring to “Silver Lining.” Yes, both takes are similar, but I feel the album version, which is a hair slower in tempo, is slightly more moving. And you mentioned “Silent Night” being sung in her 1960 voice, and how great it would’ve sounded. Very true. 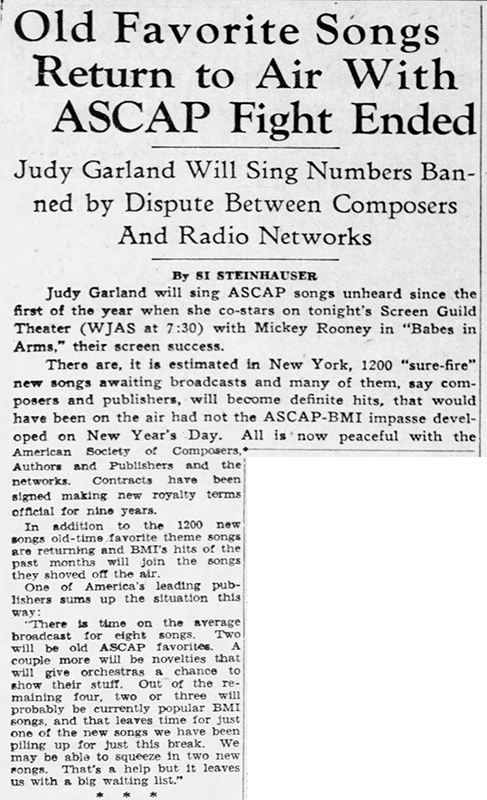 But my favorite Garland voice is (roughly) 1942-’48. Mature, but still pure and beautiful. “Summer Stock” marks the beginning of the “new voice” (which was also great). Today’s edition was late. 🙂 That Lily Mars dress sure got a lot of mileage! My hunch is that she felt so glamorous in it that maybe she asked for it again for the finale? I agree her voice in the 40s was glorious. I also love her very early recordings. That youthful zest and powerhouse voice – amazing!